Weather permitting, we shall be holding our Reception/Infant & Junior Sports Days on Tuesday of next week. It is expected that the Infant and Reception event will start between 9.15-9.30am, once the children have come in, registered and got changed. We expect their event to last for around an hour. Parents, carers, Grandparents and friends are welcome to come and cheer the children on. Entrance to the site can be gained through the lower car park gates which will be opened to parents once the children have come in. The Junior event will take place at 1.45pm. Gates (lower car park) will open at 1.30pm once the children have left the playground from their lunch break. It is expected that the event will finish by 3pm. Once the children have got changed back into their school uniform they will be able to be collected. Nursery parents have been sent a separate letter about Sports Day arrangements. If you are a Nursery parent and have any questions, please see the staff or office. It is imperative that the children have the correct PE kit on for Sports Day. They should be dressed in their plain white PE t-shirt (old house colour one). 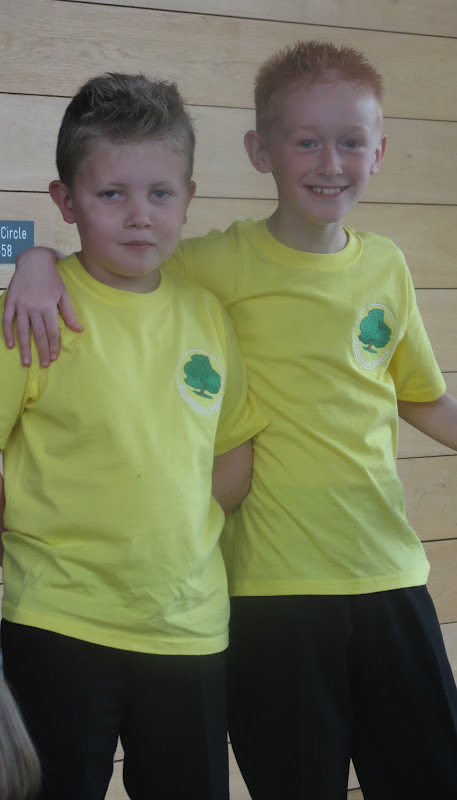 They should have a pair of navy shorts and a change of footwear to what they normally have on for school. The children have had a brilliant day and thoroughly enjoyed all the activities. The coach is due to return for 5.15pm as the last activity of the afternoon started late. Yesterday we enjoyed a very informative sharing assembly from Mulberry. This term they have been doing lots of work related to their topic of 'The Seaside'. This has allowed the children to incorporate Design Technology (making beach huts & sandwiches), poetry (acrostic poems) and singing. Some of the sandwiches they made sounded delicious... and very healthy! Keep an eye out for the video which is to follow showing the children singing their 'Donkey' song! Well done Mulberry... a great show. Year 1&2 should return at 4pm. The most recent phone call puts them just 10mins away. The children will go back into class first and be dismissed from there. 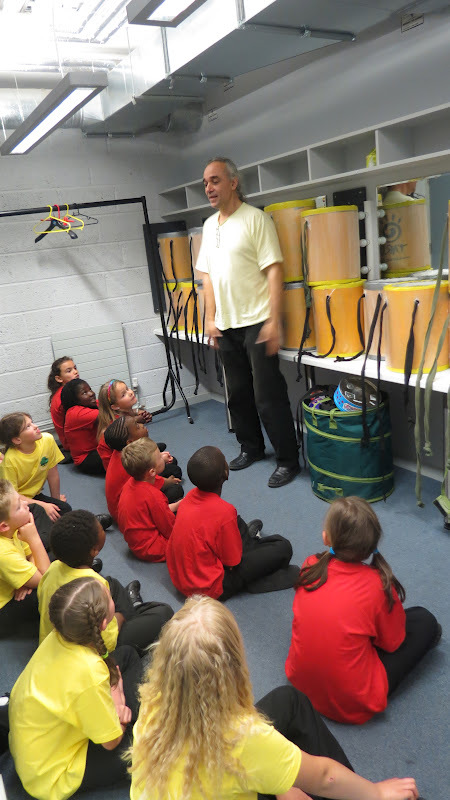 Last week our Year 3&4 pupils performed at the Rose Theatre in Kingston. After many weeks of rehearsals, training and workshops it was a chance to unite with the other schools and complete the story of 'The Ring of Fire'. Linking all the schools together around an Olympic theme was the premise that the Olympic rings had been stolen! Zeus ordered Hermes to fly around the world and collect rings from different countries so that the Olympic Rings could be restored. Each school in the project (which was co-ordinated by the English Pocket opera Company) was given a country to represent. We got Mali. Miss Reynolds then worked with the children to put together a performance that involved percussion and singing. It was a tremendous show and the pupils did very well. To the heroic champions of Mali! Hope you got back OK after the show. Just a note from all of us at EPOC to say an ENORMOUS thank you for your fantastic work at the theatre. We greatly enjoyed working with you – everyone in the theatre commented on your professionalism and your good behaviour. 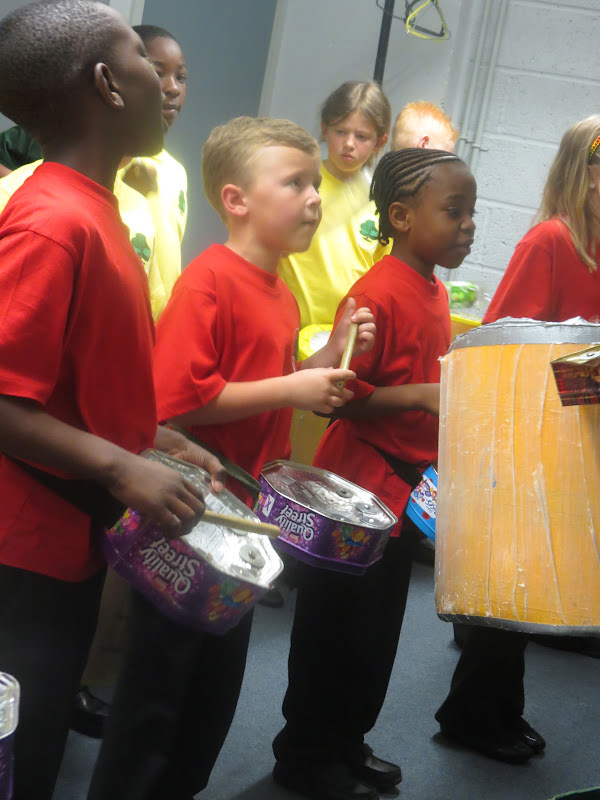 We loved your drumming – the noise was immense – they must have been able to hear it in Mali! We thought it was wonderful and loved your headdresses. Meanwhile, all the best with your studies, enjoy the Olympics and good luck to Mali in the Games! Mark, Aneta, Rudy, Liz, Ed, Tracey, Sophie, Paul & Rae and all the members of the crew and band. Watch out for the Youtube clip which will be coming soon! Inter House Spelling Bee - Blue House Win! Primary School Children Must Be Active! Collier Road Parade 2012 - Shannon Performs! Half Term House Points Result - Blue Win!